Our engineers specialize in solving welding engineering problems, weld failure analysis, eliminating weld defects, soldering, brazing, expert witness services, and developing welding procedures. We provide procedure and techniques to solve your arc, MIG, TIG, laser, electron beam, resistance, or plasma welding procedures. 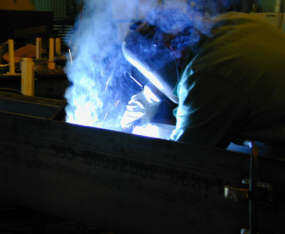 We provide solutions to steel, stainless steel, aluminum, nickel, or titanium welding processes. Our Principal Engineer has experience in Aluminum, Steel, Stainless Steel, Nickel alloys, and various types of metals and welding procedures including aircraft, industrial machinery, ships, and under sea pipelines. We can solve your soldering, brazing, and welding problems. 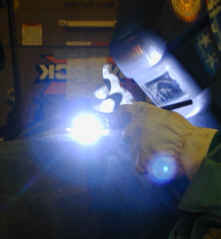 We provide welding engineering solutions to our customers industrial problems. Common procedures such as flux cored arc welding, TIG, MIG, SAW, arc welding are among our specialty. We also provides services for autogenous welding procedures such as resistance, TIG, plasma, laser, electron beam welding. Our goal is to identify problems and specify techniques to enhance customer capabilities. Examples of our experience includes oil refineries, petrochemical plants, pipelines, aircraft, food industry, medical supplies, ships, and gas turbine engines. Our experience include a range of welding, soldering and brazing processes using various alloys. If you do not see information on your specific joining process or alloy system please contact us about your individual consulting needs. Our Principal Engineer is also available for failure analysis, accident investigation, root cause analysis of welding problems and weld failures. Our Principal Engineer received his masters degree from MIT and has over 30 years of engineering experience. We can provide on site accident investigation, engineering assessment, product liability evaluation, technical advisors to counsel, expert witness testimony, and evaluation of conformance to industry specifications. From initial investigation through depositions and trial our engineers are available for your litigation support. If your company is experiencing problems you can retain us to improve your weld processing. 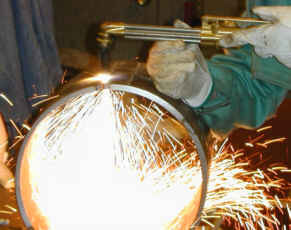 Hire our consultants to act as your welding specialist. Send mail to bob@WeldingEngineer.com with questions or comments about this web site.